Book one of the New York Times-bestselling All Souls trilogy-"a wonderfully imaginative grown-up fantasy with all the magic of Harry Potter and Twilight" (People). Now "[a] hot show that's like Twilight meets Outlander" (Thrillist) streaming on Sundance Now and Shudder, and coming to television this April on AMC and BBC America. 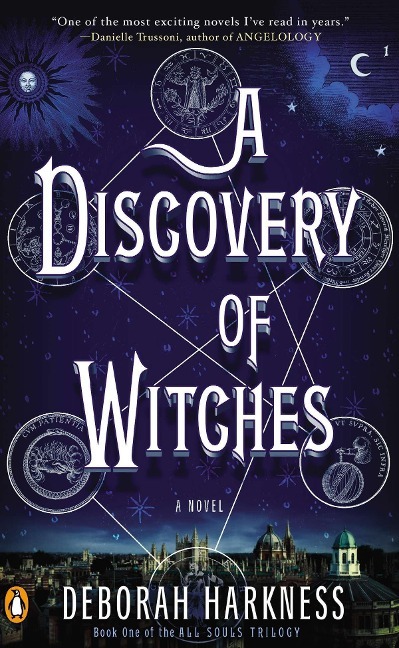 Deborah Harkness's sparkling debut, A Discovery of Witches, has brought her into the spotlight and galvanized fans around the world. In this tale of passion and obsession, Diana Bishop, a young scholar and a descendant of witches, discovers a long-lost and enchanted alchemical manuscript, Ashmole 782, deep in Oxford's Bodleian Library. Its reappearance summons a fantastical underworld, which she navigates with her leading man, vampire geneticist Matthew Clairmont.